Tapsi, Sisig, Adobo, Sinigang, Bulalo, and Lechon are my all-time fave Filipino food. I know, it’s all pork and fats but it’s all good tasting and versatile that you can eat these at any time of the day. Breakfast, lunch, supper and even late bites, Filipinos love eating meats and rice. 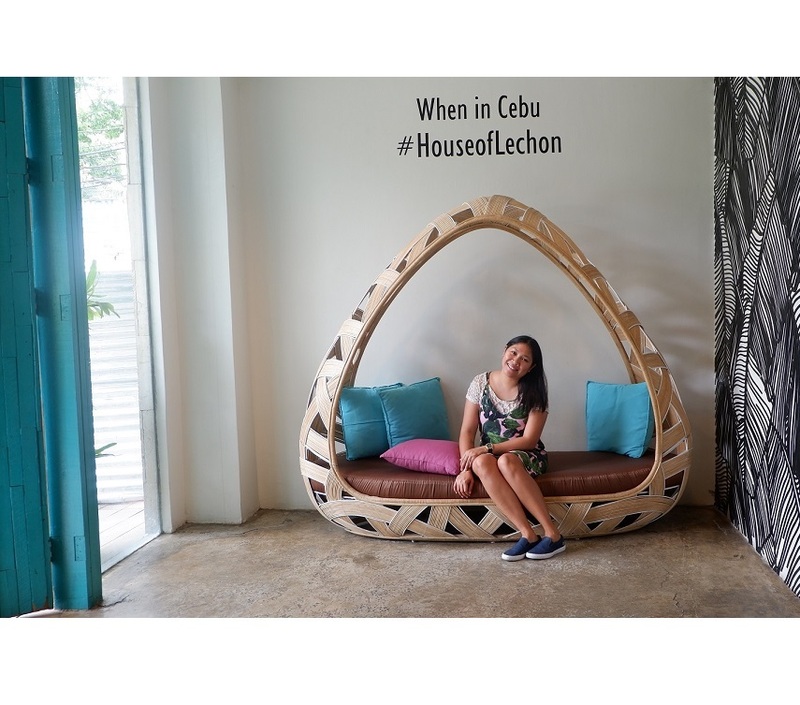 When my fellow Bloggers and I visited Cebu, in 1 whole day we did Lechon hopping and tried 4 different Lechon restaurant around Cebu City and one of my instant faves is The House of Lechon. The interiors and fixture here are just superb. 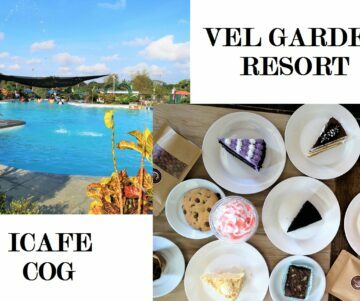 The best place to have special gatherings, birthdays and meetings as well. 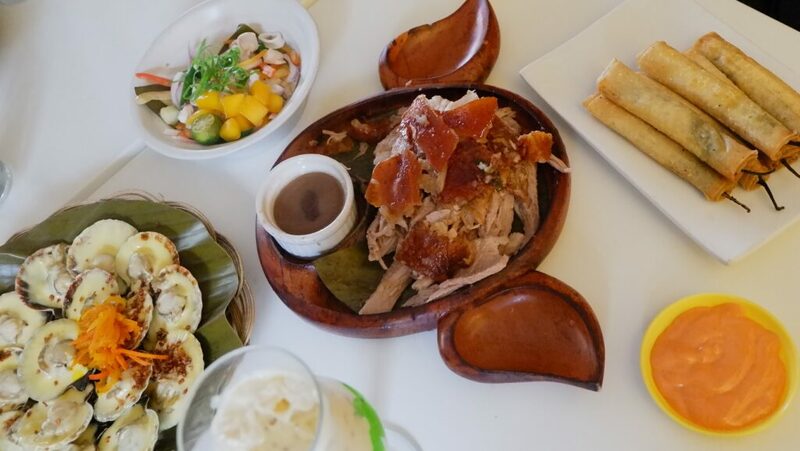 Visiting Cebu will never be complete without having a Lechon. It is a roasting suckling pig, roasted and cooked under charcoal for hours. Each region and country has its own version of Lechon. Here in Cebu, their Lechon is salty and the skin is very crispy. 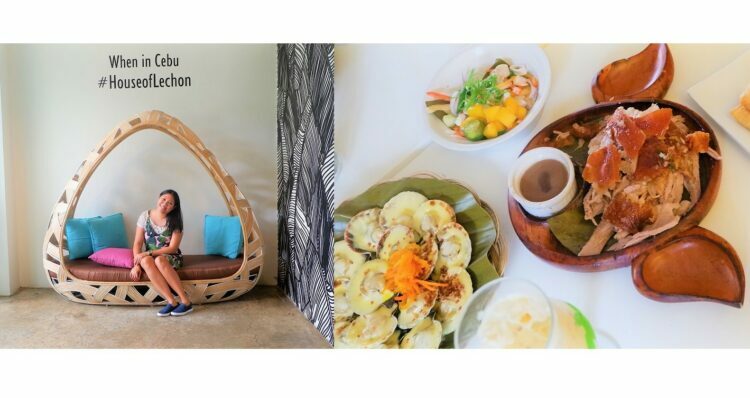 I remember watching Anthony Bourdain in his tv show No Reservations saying Cebu Lechon is the BEST PIG he had, this is when he visited Cebu and ever since then, many tourists and especially foreign travelers would never miss having a Lechon when they’re in Cebu. 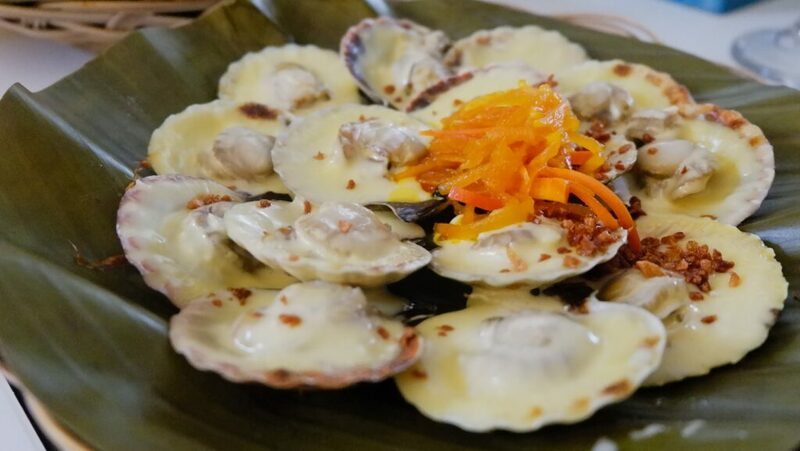 Appetizer – Meaty Dynamite for less than 200 php. 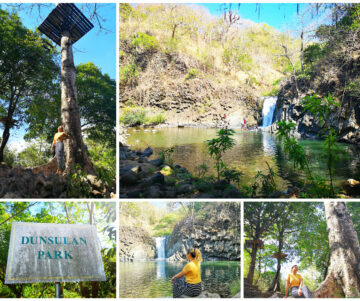 My all-time fave merienda and pulutan. Can’t stop eating Lechon for a whole day, to be honest. This Carcar Special Lechon is only 330 PHP for half a kilo. 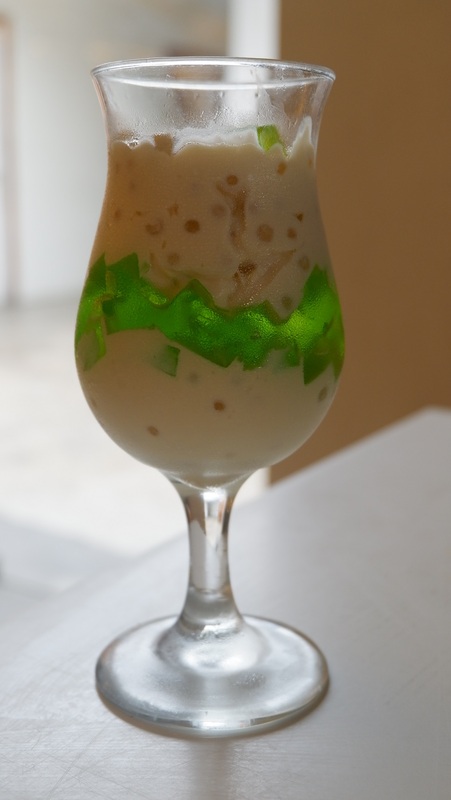 Refreshing Pandan Tapioca for less than 100 PHP / 2 USD. Our fave – cheesy, buttery and just simply delectable. 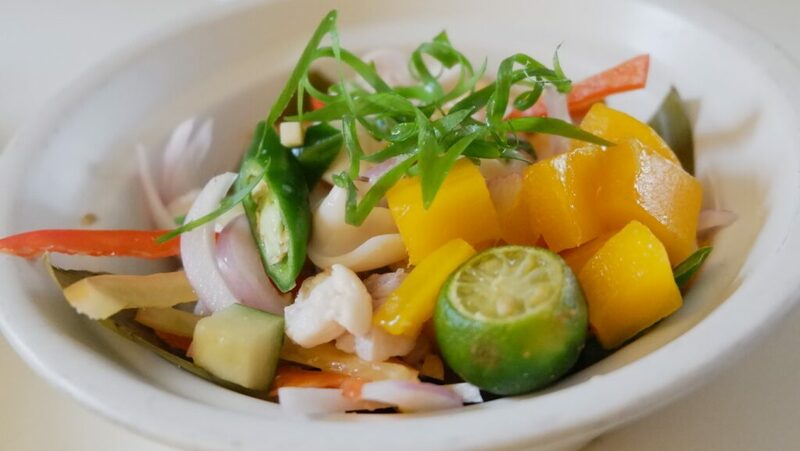 Made from a fresh oyster, mango, ginger, and chilies. TIP: If you are about to eat a lot of Lechon, I suggest ordering fresh pineapple juice coz this will help you not to have high blood pressure, lol. If you are on KETO or you just love meat, shoot me a message, tara let’s food crawl ng Lechon sa Manila? !